Primal Megaways by Blueprint Gaming is a 6 reel, 46,656 ways to win slot. Features here include mystery symbols that turn into other symbols to award larger payouts. The Primal Bonus feature awards unlimited free spins, there are wild multipliers offering up to 7,776x your stake and overall payouts as high as 10,000x your bet on each free spin. Stakes start from 20p to £150 per spin on all devices. Follow this link to discover more with WizardSlots. Be ready to journey back to 46,656 BC where woolly mammoths roam freely. The slot has a Stone Age theme where players literally become humanity’s last hope of survival. The slot has some excellent graphics and quality 3D animation. Symbols on the reels include card values Q, J, 10, A and K, warthogs, woolly mammoths, wolves, sabretooth tigers, goats and rhinos. The woolly mammoths pay the highest reward of 50x your stake when 6 land. This is a MegaWays slot so as is custom, a random number of ways to applies for each spin. There's a wild symbol- the paw print which can replace all the other symbols except the bonus scatter symbol. The fire mystery symbol lands and randomly reveals any other symbol except the scatter or wild. · Primal Bonus feature -This feature is activated when 3 or more bonus scatters land on the reels. Any winning combo that involves a wild sees a wild multiplier applied to it (it could go up to 6x). If more than 1 wild lands, the multiplier values will be multiplied meaning you could get a multiplier of up to 7,776x i.e. 6 6x wild multipliers. The standard paw print wilds land and transform into wild multiplier enhance your win even further. The wild lands on all the reels except the 1st reel. In addition, 2 or more bonus scatter symbols win you extra free spins. There’s no limit on how many extra free spins you can win. If you win less than 10x your bet, the feature is triggered again. Click here to play more casino slot games online today. Click this link to browse the top-rated online slots now! Primal MegaWays is highly volatile. Your best strategy would be to win big from the wild multipliers during the Primal Bonus feature. If you’re lucky, you can win up to 10,000x your total bet on each free spin. This slot. This slot is a visual masterpiece is a visual masterpiece and the MegaWays game engine is the icing on the cake. 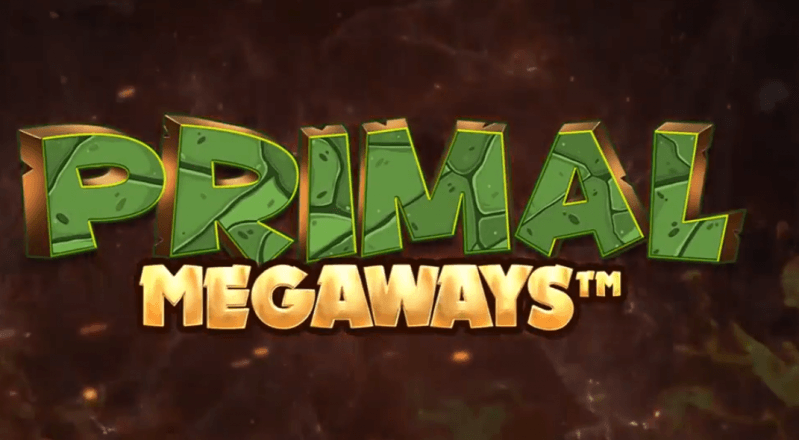 Primal MegaWays is worth playing for the superb bonus features and their huge win potential. Still looking for more? Be sure to check out Action Bank.